The Guadalupe-Blanco River Authority’s (GBRA) motto is “flowing solutions.” As a 10-county statutory district inclusive of most of the Guadalupe and San Marcos rivers and watersheds, our dedicated utility operators and employees have worked for 85 years to manage these systems holistically and sustainably. 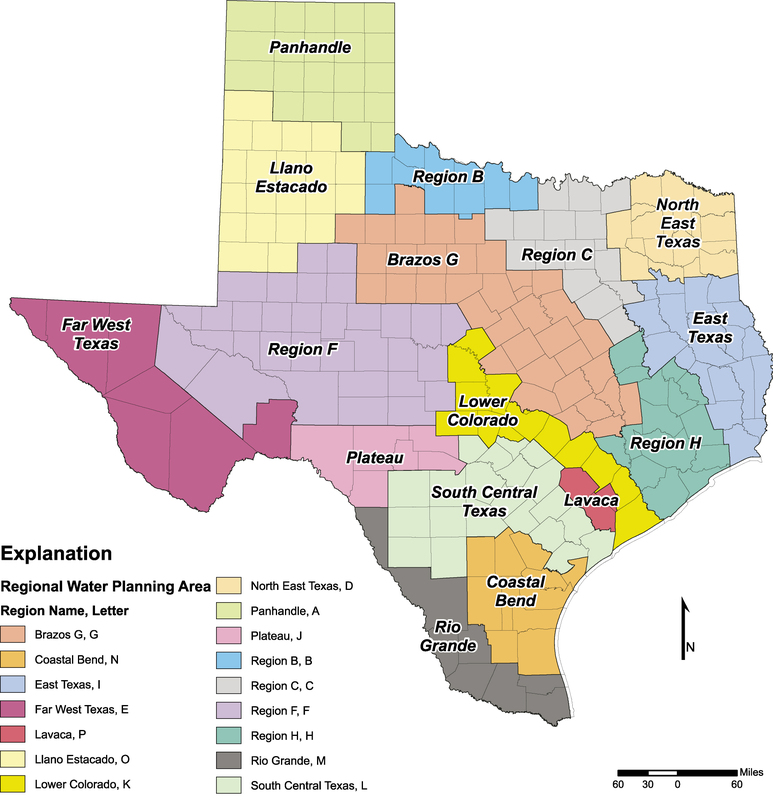 With three of the top five fastest-growing counties in the nation (Hays, Comal, Kendall), GBRA’s mission to 1. support responsible watershed protection and stewardship, 2. provide quality operational service, and 3. promote conservation and educational opportunities is needed more than ever before. We’re confident that our citizens, business, and communities know the value of protecting our water resources. Our constituents continue to invest their time and capital to ensure the springs that feed our rivers continue to flow and sustain a resilient ecosystem. Since 2000, Texas’s population has increased more than any other state; and growth is expected to increase more than 70 percent by 2070, from 29.5 million to 51 million residents. Although the statewide population will increase over those 50 years, not all regions will grow equally. Of the254 counties in Texas, 30 are projected to at least double in population during that time. The same is true for 328 of the state’s 1,600 population centers. Similar to the population projections, total water demand varies significantly by planning area and use. Currently, irrigation remains the largest water demand, with municipal consumption projected not to exceed irrigation demand until 2070. The 2017 Texas State Water Plan indicates that water demand associated with irrigation will decline to just over one-third of the statewide total, offset by increases in municipal, steam-electric, and manufacturing demand by 2070. Recognizing this growth, GBRA shares the One Water approach of managing all water within a specific geography and supports collaboration between diverse groups. Cities are on the front line of water management; however, the responsibilities and considerations to the environment and downstream users often are left at the city limit sign. Cities, river authorities, and other stakeholders must work together on integrating water management strategies that support and sustain all of our communities and ecosystems into the future. Cities are excellent laboratories for innovative water management strategies to address their specific water needs, issues, and infrastructure. As we learn from one another and employ others’ proven strategies, we must be vigilant that downstream interests are not harmed by unintended consequences. An uncoordinated patchwork of municipal strategies that solve individual water, wastewater, and stormwater management issues may lead to a myopic perspective of best management practices that may not allow the success to continue flowing past the city limits. One Water is critical of the state and regional water planning process, but the Texas model is recognized and replicated for ensuring stakeholders have the opportunity to learn and participate in planning for their future water needs. Since 1997, the state’s bottom-up approach allows planning groups to assess specific risks and uncertainties in their own regions and evaluate potential impacts of water management strategies on their region as well as on the state’s water, agricultural, and natural resources. Each planning area is represented by at least 12 statutorily required interests: the public, counties, municipalities, industries, agriculture, environment, small businesses, electric-generating utilities, river authorities, water districts, water utilities, and groundwater management areas. During each five-year planning cycle, regional water planning groups evaluate population projections, water demand projections, and existing water supplies for the next 50-year planning horizon. Each planning group then identifies water shortages under drought of record conditions and recommends water management strategies and cost estimates to address potential shortages. The Cynthia and George Mitchell Foundation-funded One Water Report quoted the 2012 Texas State Water Plan citing, at that time, “Texas does not and will not have enough water.” However, during the worst one-year drought in our recorded history (2011), implemented regional and local projects worked. Service disruptions were localized management issues. No Texan had their tap go dry from the lack of an available water source. Another critique is that the State Water Plan has unmet needs. The inability to meet a water user group’s need is a region’s decision and is usually due to the lack of an economically feasible water management strategy. Also, it should be clarified that while approximately 3 million acre-feet of water supply needs remain unmet in the current state water plan, irrigation represents the vast majority (ranging from 90 to 96 percent) of unmet needs in all decades. While unmet irrigation needs would lead to economic losses, the existence of unmet needs should not be generalized to imply a failed process or major shortfalls in a single area. Today, most urban Texans cannot tell you where their water comes from or where it goes once it flows past the city limit sign. Often, a city’s water supply isn’t sourced from within the city and was developed by our forbearers; however, these sources continue to perform the function of water supply, flood control and provide environmental, recreational, and economic benefits. With the population and economy continuing to grow and the capacities of existing supplies fully utilized, cities are investing in the next generation of water supplies and strategies. As the value and cost of water increases, new water sources are being developed from both distant sources in addition to local, reclaimed municipal sources like stormwater run-off and treated wastewater. GBRA supports the One Water initiative to enhance the management of drinking water, wastewater, stormwater, and greywater as a single resource that must be managed holistically and sustainably. As One Water seeks to act on promoting good policy—building across silos, and mainstreaming successful pilots and demonstrations to improve the connection between urban water management and enhanced environmental impacts—I recommend re-evaluating and engaging in the state and regional water planning process. The Texas water planning process continues to evolve to ensure the process is accessible and transparent and will continue to improve with each new iteration. The five-year water planning cycle allows our state water plan to adapt to, and account for, dynamic conditions such as drought, population growth, economic changes, and environmental needs. In the 2017 Texas State Water Plan, six of the 16 regional planning groups indicated potential new droughts of record for their regions, resulting in reduced estimates of existing surface water supplies, allowing them to incorporate new data to make better decisions related to their needs for the 50-year planning horizon. Texas water planners are currently developing the 2022 Texas State Water Plan, with focus on the needs of Texans beyond 2070. I believe water planners and the process share the One Water goals of increasing knowledge of Texas water, implementing water management strategies that are complementary to environmental needs, and working collaboratively within and across communities. However, calling for a systematic change to a process that is working to make Texas resilient is too extreme. GBRA stands ready as a partner to advance our state’s shared goals of One Water for Texas as a means of keeping solutions flowing.